The Model 6450 Air Seeder provides many features that will allow you to get more done in your valuable seeding day. The Integral Tank System provides industry-leading efficiency of the tank's capacity. 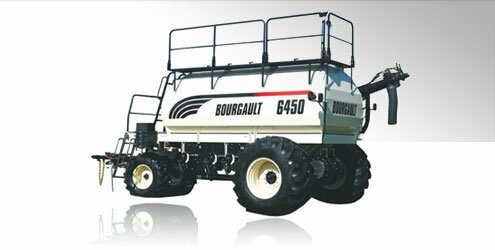 The Model 6450 is equipped with the 10" Standard Load/Unload Auger or the the 10" Deluxe Load/Unload Auger.